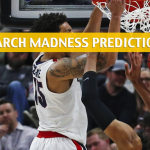 The Baylor Bears and the Gonzaga Bulldogs cross each other’s paths this Saturday in the second round of March Madness. 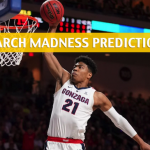 Will the Bears upset Gonzaga? Or will the Bulldogs show Baylor why there are ranked No. 1 in their bracket region? 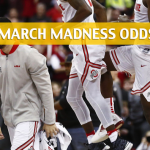 Scroll further for what may be a controversial pick, and see all future odds for remaining teams in the tournament here. The Bears scored a mild upset in the first round, as the Big 12 team eliminated the ACC’s Syracuse Orange via a 78-69 win. Baylor shot the lights out against Syracuse, as Makai Mason and company tormented Syracuse’s defense from deep, going 16-for-34 on 3-point attempts. Mason led his team with 22 points with four triples and four assists in 35 minutes. Jared Butler, meanwhile, had 14 points with also four 3-pointers. That game also showed how capable Baylor’s firepower is, considering Syracuse’s defense is ranked 30th by KenPom. 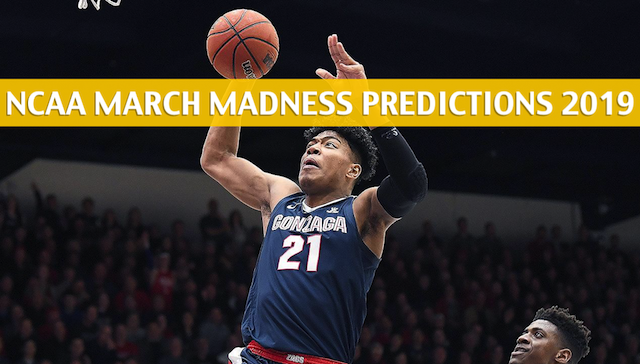 Gonzaga will have headaches against the Bears, especially if Baylor carries its hot hands into the second round. Mason, for one, has gone 11-for-24 from behind the arc in the last three Baylor games, dating back to the Big 12 tournament. Having fought plenty of tough competition in Big 12 play, Baylor will be unfazed by Gonzaga’s status as a No. 1 seed. The over is 3-0 in Baylor’s last three games. The Bears are just 7-2-1 against the spread (ATS) after a win this season, and are 15-14-3 ATS overall. Gonzaga did what No. 1 seeds are supposed to do in the first round of the national tournament – destroy the opposing team and reduce it to a smoldering heap of rubble. That’s the form of the No. 16 Fairleigh Dickinson Knights after their 87-49 loss to the Bulldogs on Thursday. 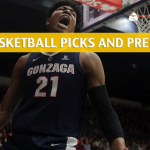 Gonzaga recovered from its poor shooting form in a shocking loss in the WCC tournament finals to the St. Mary’s Gaels, as the Bulldogs shot 53.1 percent from the field and hit 9 of 21 3-pointers. 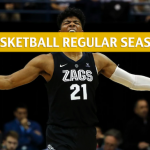 Rui Hachimura led the way for Gonzaga, scoring 21 easy points on 8-for-15 shooting from the floor to go with eight rebounds in just 24 minutes. Gonzaga had a huge 36-point lead at the half against the Knights, so the Bulldogs had the luxury of giving its starters plenty of minutes to rest. In other words, Gonzaga’s key players will come in with very fresh legs against Baylor. Gonzaga had the best offense in the league on paper back in the regular season in which the Bulldogs racked up 88.8 points on 53.2 percent shooting from the field. 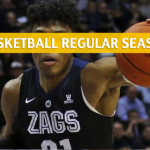 Gonzaga is 3-1 ATS in its last four games, and 22-12 ATS overall this season, covering 64.7% of the time.